Any Junk Is Too Much Junk! When junk builds up in your home, it’s never a pretty sight. 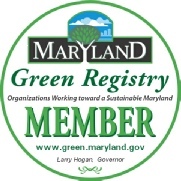 If you’ve been hanging onto unwanted furniture, broken appliances, outdated electronics, or any other items, you’re probably sacrificing your ability to enjoy and use your Maryland home to its full potential. In piles in the hall closet, extra bedroom, basement, or garage, you junk is unsightly, takes up space that could be used for other purposes, and may even present a safety hazard. When things get out of hand, we are the Anne Arundel County waste removal company that you can count on to handle all your junk. At Spartan Junk Removal, we always put our valued customers first. That’s why we are guaranteed to be on time and have the lowest prices that you’ll find with any of the Anne Arundel County removal companies. Get in touch with us today to free your home and your life from unwanted junk!